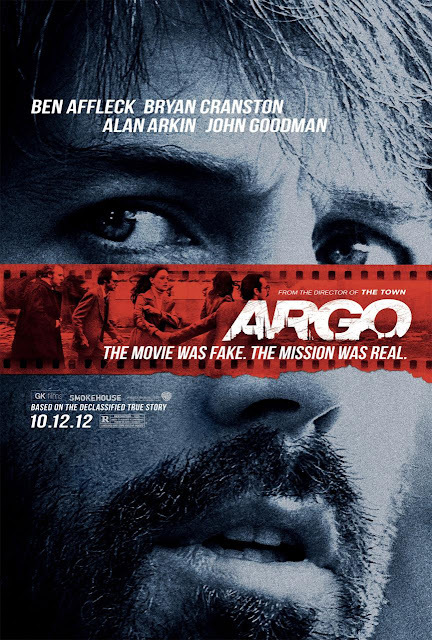 Argo (2012) is a CIA thriller based on the true events about the Iran Hostage Crisis of 1980. The film opens with the history of Iran's leaders leading up to the crisis, including the U.S.'s despicable involvement. Protests follow and demonstrators rush and take over the U.S. Embassy. 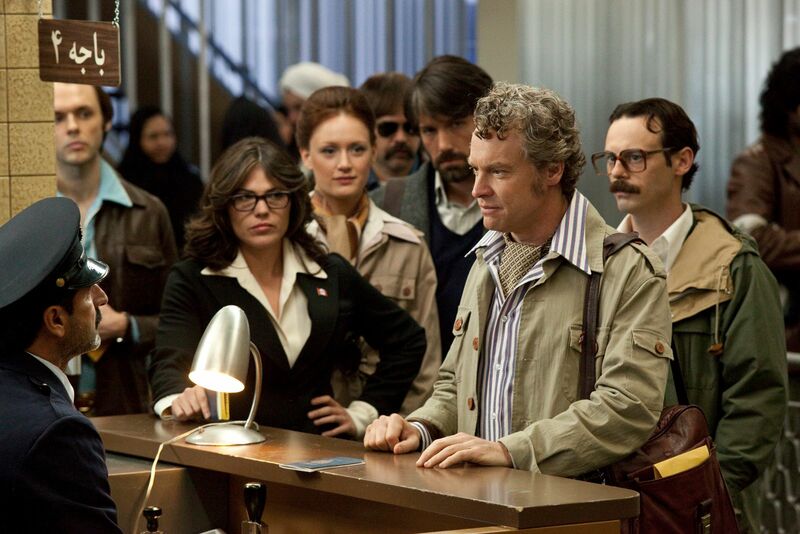 Six workers escape through the back and take sanctuary in the Canadian Embassy. The State department tries some ridiculous sounding plans before turning to a top CIA expert who proposes making a movie s a cover. 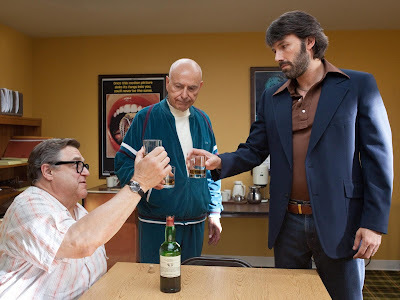 Agent Tony Mendez goes undercover as producer Kevin Harkin to get the hostages out alive. He tries to split his time between work and family, doing the best he can at it. The fact that the subplot with his family isn't neatly resolved is nice, though they do leave you with the happy ending feeling. During the mission, the tension is more on the hostages and Tony is portrayed as relaxed and in control. The fake move side involves make artist John Chambers and producer Lester Siegel. Siegel is the only prominent character who is entirely fictional. John Chambers was an actual man who helped make the Argo project happen. Aside from their main roll in facilitating the movie end of it, they also provide a good bit of humor during the darker times in the film. 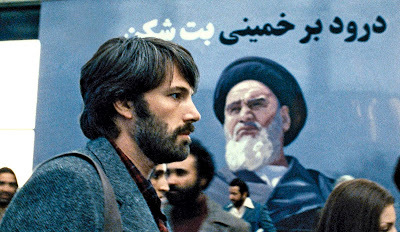 The hostages, Robert Anders, Mark Lijek, Cora Lijek, Joe Stafford, Kathy Stafford, and Lee Schatz, are put under intense pressure as they must remain in the Canadian Ambassador's house for two months as the Iranians hunt them down. The tension and stress gets just the right amount of stress. Including a subplot in which Mark blames himself for his wife's capture that leads to him initially resisting Tony's offer of escape. The images of burning American flags and chanting in the streets is a chilling sight. The justified anger in the protestors' eyes as they lash out at whoever they can really helps sell the opening scenes. The stakes are revealed through men hung off cranes and harsh radio broadcasts. It even shows people dragged out and shot in the streets. It was a time of crisis and it comes across as hauntingly similar to what we see on the news today. After some uneeded forced tension (that didn't actually happen) the film moves on to its actually ending. It even provides some comparison photos and a voice over by Jimmy Carter during the credits. Other than the forced tension, the ending was solid and nicely paid off. 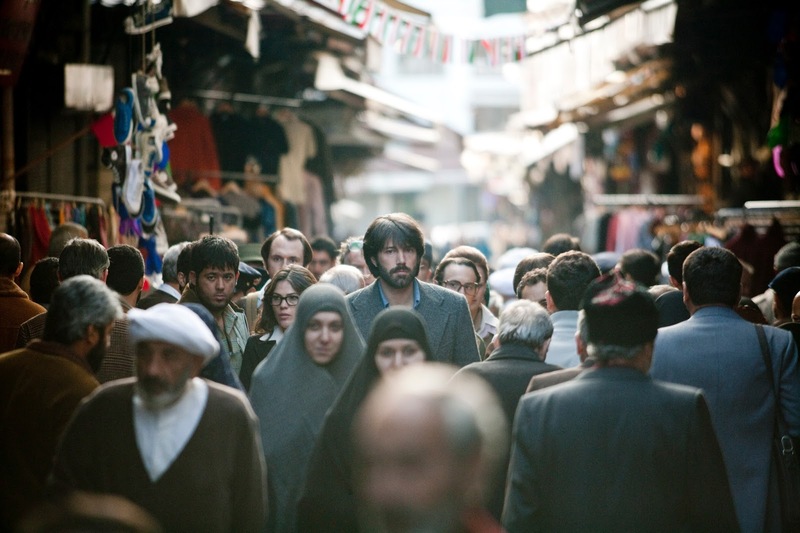 Argo is an entertaining thriller that certainly deserves some nods at the Oscars. The cast is great and the pacing and tension are solid. It is also highly enjoyable. Looks like I won't be getting around to the others until after the Academy Awards tonight, if at all. Zero Dark Thirty (and its controversy) really don;t interest me. I've heard such mixed reviews about the two and a half hour Le Mis that I have become thoroughly disinterested. Finally, I hated the novel for Life of Pi, so I may do a rant about the movie later (along with my thoughts on how the awards go down). That would be my ranking order. We'll see how it goes tonight.